Have you ever been the backseat driver for a trip/project/event that was just insane? The task too large, the time too short, the resources too few – but since it wasn’t your car, you just had to sit back and try to hold your tongue as you saw the vehicle speeding to the edge of the cliff. That was something like my sister’s housewarming and 5-year anniversary party last weekend. A first-time home buyer, she wanted to show the world (literally, everyone she knew) that she had made it. And her definition of making it meant the entire house and yard required renovation. That meant tearing down walls, replacing leaky windows, hanging drywall in the unfinished basement, installing new vanities in each bathroom, pulling up ivy in the backyard, building a new deck platform and stairwell, painting, furnishing, cleaning and, of course, feeding close to 100 people. The task was massive and credit is definitely due for the audacity to pursue such a standard of excellence. But if I might now be allowed to voice the advice which was largely ignored over the four-month planning process, this is how the whole endeavor could have been just as exceptional but far less stressful. 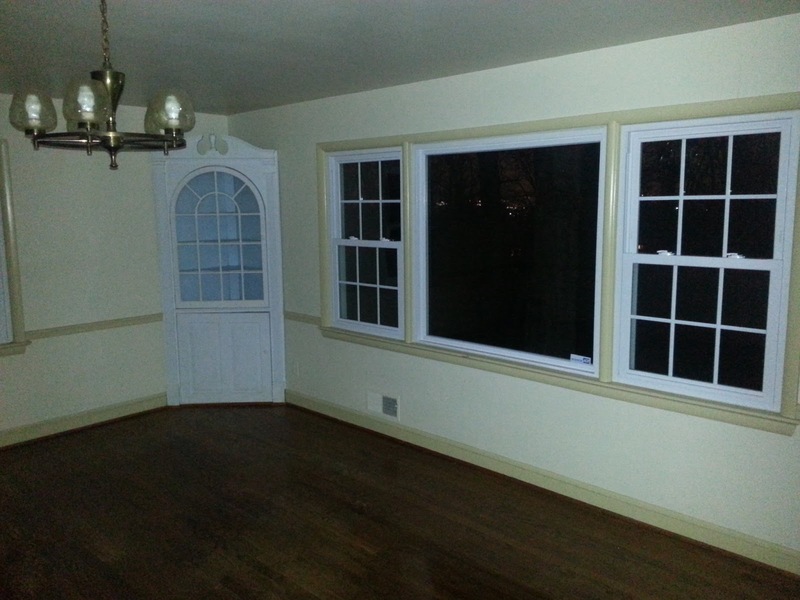 The huge formal dining room looked nice before, if you’re into that stuffy traditional thing. The house was full of tiny, insignificant sinks. 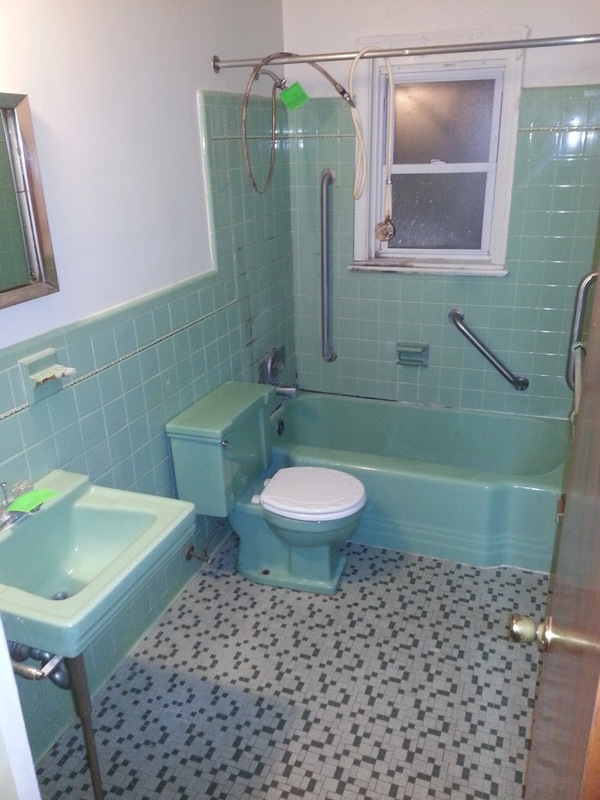 All were replaced with large vanities with lots of storage. A housewarming requires two levels of preparation: the house needs investment in lasting structural changes while the party needs a shiny lacquer to create a comforting and enjoyable atmosphere for guests. The key is to make a written list of all the improvements you want to make and rank them in terms of impact on the final event. Remember that a housewarming home should not be a concluding statement because, as Lowes says, “never stop improving.” That means you can develop a concept of design with wall paint and furniture layout using what you already have or can afford to buy. Draw the lines of your home and fill in the details with leave non-lasting decisions like pillows, rugs, and accessories for when you have more time to breathe. Never stop improving also means that you should focus on rooms of the house which have a high impact on your daily comfort and that of your guests. That basement which remained unfinished for 50 years will survive another event – close the door for now. And if you really want to show it off, have people back in a few months to enjoy an event in the new space. 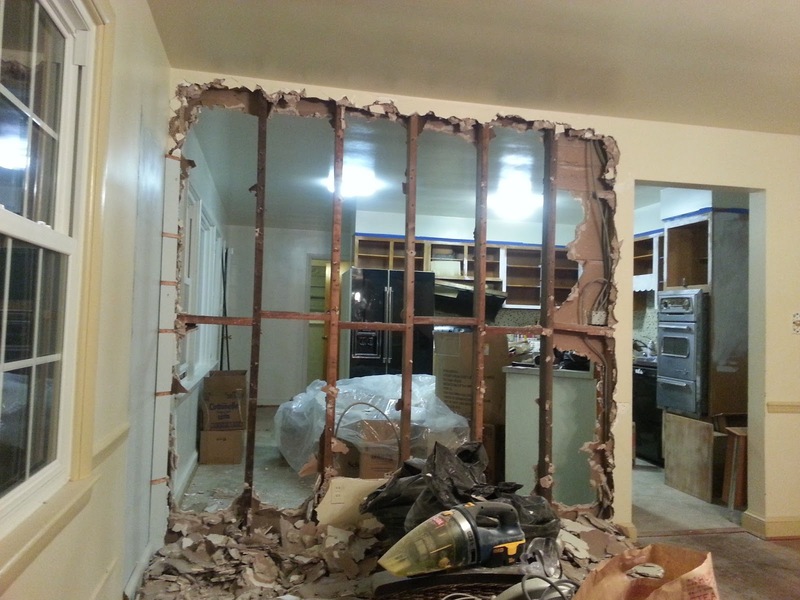 We tore down a wall…with a hammer! That was fun, carrying away bags of debris was not. A plan should state your goals and the time, money, and human resources you need to make it happen – it should be absolutely detailed. First, make a list of all the products in your project scope and then all of the things each product requires to finish it. Then you should map out the time it takes to complete each task. Next, prioritze the products with tasks which take the longest time along with those products which must be completed before another can begin. 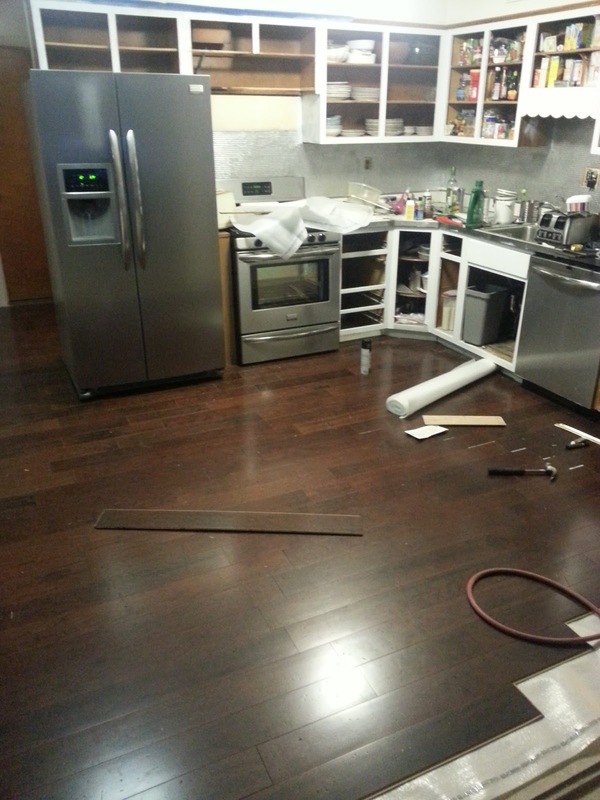 For example, laying flooring must be completed before you can install the kitchen island. Also factor in inactive times like standard shipping so you do not need to pay rush fees. Cramming an eight-week task into the final few days creates unnecessary stress. And because you have set reasonable expectations for yourself, you know better than to demand those rushed projects. Be realistic about your budget and think about the materials and tools you need to get the job done then add at least 30% because you probably underestimated. If you are trying to do it yourself you will make mistakes like breaking the water line to the fridge, buying the wrong replacement, and then starting over for a third time. Save money for when you’re in over your head and you need to call in a plumber. Also make sure that you include the party in the budget so you will keep money aside for food, drinks, plates, and all of your party elements. Also make sure you leave time for the days before the event so you can rub on that shiny lacquer which makes everything look intentional. It doesn’t matter what state the house is in, at some point you have to stop, clean everything, take a shower, put on a smile and be ready to entertain. Clean toilets are always more important than painted walls. 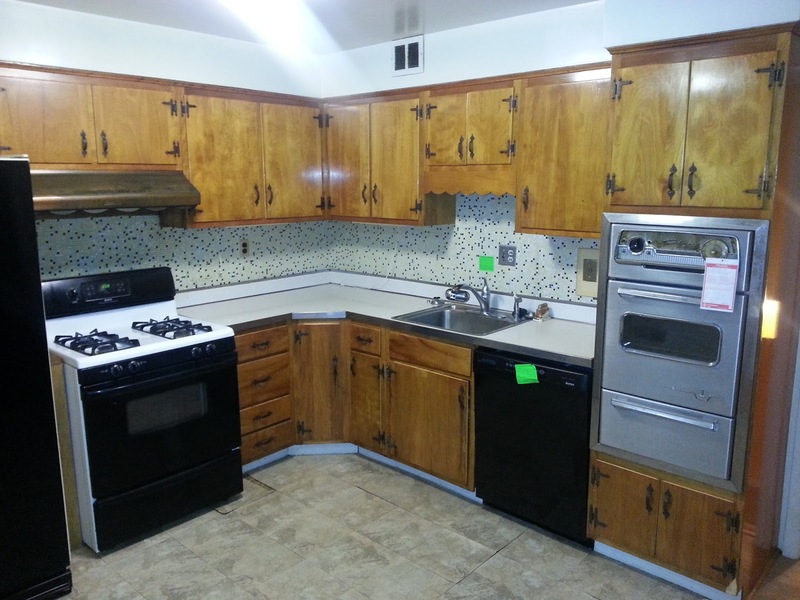 Before shot – everything had to go! Except that vintage oven. That stays as a classic reminder of the house’s history. Understand and come to terms with the fact that you absolutely cannot do it alone. Even if you’re married with kids and everyone is pitching in, you have to create a space for others to help out so you can play hosts during the event. My sister received help from the whole family and many of her friends along the way. Even my divorced parents played nice for two days in a row to clean and build and help take care of things. Seeking help requires you to release some control. The most effective way to leverage someone’s help is to clearly communicate your standards, detail the project, provide the necessary tools, and then back away so you can go focus on something else that requires your attention. So my sister could play host, I stepped up from the back seat last weekend and demanded control of the kitchen. But once I was in charge of food for 100 guests, I in turn needed help to pull it all off. While I always tend to be a control freak in the kitchen (and everywhere else), there are always distinct tasks which require energy and time, but can be completed by anyone with simple explanation. I enlisted my cousin to prep the lemonade, my uncle to man the grill, and my sister’s old roommate to skewer the kebabs. Two of my sister’s friends offered to help and I put them to work finishing the kebabs and preparing the salad. And I cannot forget my sister’s neighbor who not only took us grocery shopping with her wholesale, BJ’s, and Costco memberships, but also carried food to her kitchen across the street to make pulled chicken sliders and salmon dip. Their help allowed me to focus on fewer dishes and manage the whole operation so everyone could stop working earlier and enjoy the party as it progressed. The experience taught me to create a kitchen plan and so next time I throw a big party I will write down all of the dishes and tasks I can seek help with. So that is basically housewarming and project management in a nutshell. Expectations, budget, compromise, communication, and calming down. Our event was super stressful, but it all came together. Hello Everyone!!!! Please don’t be deceived by this misleading, although well written article. Myself and my husband labored, planned, and succeeded with the remodel of our home and our housewarming. Robyn definitely helped. But she lives in NYC and we live in DC. We were able to near double the value or our home and throw an awesome bash to celebrate it in only 4 months, with less than $20k. The car never was near the cliff, maybe near a hill at some tiring points. But never near a cliff. The advice she gave in this article is solid, but we had all of these components in play, that’s why everything worked! !